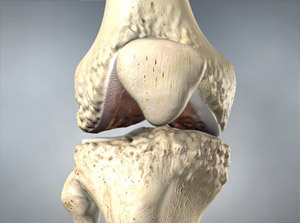 The meniscus is comprised of two c-shaped wedges of cartilage that cushion and stabilize the knee joint. 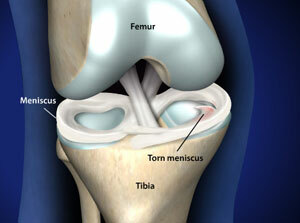 A torn meniscus is one of the most common injuries to the knee. Young patients in Omaha can tear the meniscus from a traumatic sports related knee injury. Meniscal tears in older patients can occur through the degenerative wear and tear of life. Symptoms associated with meniscal tears include pain with walking, twisting, bending or kneeling. Locking or catching sensations in the knee can also occur. Intermittent swelling and limited motion may be present. These symptoms are not always constant, as they often occur off and on. Meniscal tears can be detected on MRI scan with a greater than 90% accuracy. 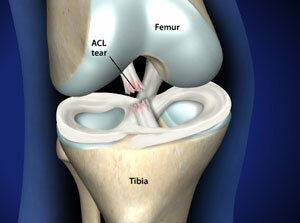 How your omaha knee doctor treats your tear will depend on the type of tear you have, its size, and location.